Every Monday Zebra Eclipse updates with a new Herd. The Herd is a digest of related links to stories appropriate to the blog. The goal is to show the common evolution of agency and publisher and to highlight the influence of creators, curators and community moderators. The tricky issue of targeting and measurement when it comes to omnichannel content. In a world of native ads, user generated content and widespread sharing, how do readers know what they are reading is true, or what is the motivation of the publisher? Big news for publishers as the Americans look to enforcer Native Ads standards on publishers. How this will effect bloggers who are often under pressure from SEO agencies to publish undisclosed articles remains to be seen. ReCode had lots of kudos but it struggled with growing its audience – never getting above 1.5million a month. The result? A deal with The Verge’s owner Vox. Facebook takes the lid off its new publisher partnership offer; Instant Articles. These are designed to launch quickly, embrace rich media and profit split with the original publishers. Tadhg Kelly argues that too many games journalists are writing for sites chasing the same audience. There’s an over supply problem. At the same time, these very journalists are unwilling to break old habits – such as putting mobile gaming up there with PC and console gaming. The network Affiliate Window, sister to Zanox, has announced that the first quarter of this year saw a record number of people and businesses sign up as publishers. 68% of these publishers were accepted by Awin. A creative director weighs in on how brands can work with vloggers without getting caught up in the credibility backlash – if, indeed, there’s a backlash coming in the first place. 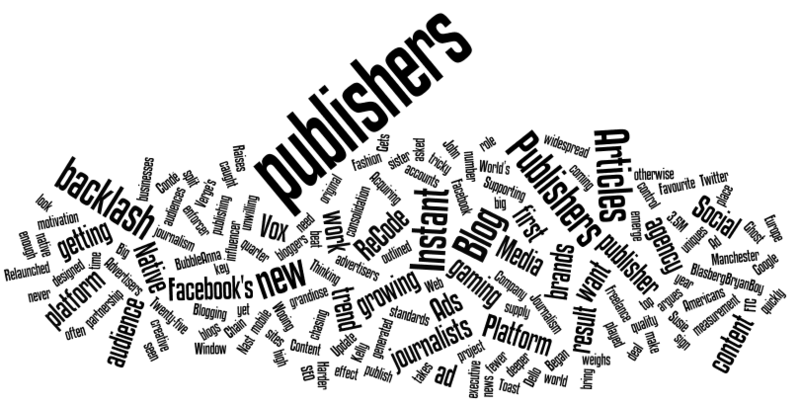 The details emerge of Facebook’s proposal to publishers. 100% of all revenue if you bring the advertisers; 70% otherwise. Social Chain is a Manchester based “influencer agency” with about 220 popular Twitter accounts under its control. The result? It can make hashtags trend at will. Bloggers who used the platform include Susie BubbleAnna Dello RussoDerek BlasbergBryanBoy and Fashion Toast. They’ve been asked to focus on their own blogs and arrange their own ad deals. A big catch up of shared links and discovers from the end of 2014 and the first two weeks of 2015.
Business Insider on a startup called Twizoo that mines Twitter to pull together restaurant reviews. It’s said that this is a way to extract value from Twitter’s data and that there are about 7 tweet reviews per location in Twizoo to every one Yelp review. Nick Denton says Gawker Media is no longer just about the traffic. He says that while tipping a nod to Buzzfeed and admitting they’ve won. Does Google’s move towards viewable impressions make a difference here? It might for Gawker but won’t for Buzzfeed. Shane Snow of Contently gets around to giving Buzzfeed some praise. My favourite of his 9 points is “Buzzfeed has figured out how to get premium advertisers their money’s worth”. How? Viral lift in the new metric. Exactly right. Waterstones have said that Kindle sales dried up over Christmas. This has resulted in speculation as to whether they’ll walk from their deal with Amazon. Waterstones also claims that paper books sold well. There’s a difference between an ebook and a Kindle, though, and Waterstones gets reoccuring revenue on all ebooks bought from devices they’ve sold. The team at Medium have an official guide on the best way to construct posts that get read. Upworthy has always insisted that its A/B testing was secondary to its goal of getting people to talk about socially worthy issues. Traffic is down from last year, the internet’s fasting growing site is off the boil, and hiring Amy O’Leary will give it editorial clout. What will Upworthy do with it? Reddit’s community management boss puts instinct and intuition up there along with data. In fact, watch out you don’t get too bogged down in data. Google announced at CES 2015 that they’ll start to roll out “viewability” stats across their YouTube and DoubleClick network. This mean advertisers will be able to see if audiences actually saw the ads the advertisers bought. What does the mobile market look like at the start of 2015? The Media Briefing puts together a look at the upcoming mobile landscape with insight and an extra bonus video presentation embed from Benedict Evans. Private Marketplaces: The Death Knell For Publishers? Brian Fitzgerald offers insight on how to survive the “digital publishing apocalypse” in a piece in which PMPs are worryingly troublesome for publishers because they can’t predict the revenue those markets will drive. The UK doesn’t even get a look in for Reddit’s top country list. It’s Iceland that comes top with 20.9 pageviews per capita. 54.9 million posts and 535 million comments in the last 12 months. A lengthy interview with Emerson Spartz, of Dose, who has a talent for headlines and clickbait. He’s into algorithms that cycle through and test alternative headlines but not trailblazing new ideas. The Marketing Land team, sister of Search Engine Land, put together a list of the most popular “content marketing” columns they published this year. Worth a read even if many lean strongly towards the SEO. Unbounce offer up a slice of curation by linking too and networking with some of their favourite authors and dealers of common sense. Half of display budgets is wasted on artificial traffic created by bots. These bots, by and large, are interested in fraud and earning operates ill-gotten revenue based on fake clicks and impressions. Heinken set out to do beer advertising differently. It wanted to boost the profile of the beer drinker and by doing so boost the profile of beer. Shouty man Michael Wolff takes a bleak view of digital media. It’s all rubbish he argues and the value, the good content, isn’t possible to realise. Kristen Matthews picks three trends she sees in the art and science of blogger outreach and discusses each. Blogger outreach has been forefront of many marketing activities again this year and I think Kristen is spot on with these trends. Techcrunch host a post from CEO and co-founder of Moviepilot, Tobi Bauckhage, in which it is argued that publishing and/or platforms (kinda the same thing; says Bauckhage) is the future of media. Yup. We’re all publishers, right? Say Media gave it a good crack of the whip and spent a lot of money but now they’re buying out their investors and reinventing itself as a next-generation publishing platform. An insightful article on Mashable (yes) on how PR now must include paid media, earned and owned media. The summary: we’re all publishers now. Benedict Evans (always worth reading) asks some sensible questions about mobile. He looks at the pattern of bundling services into platforms and how long it can continue for. He looks at what the Chinese players might do and at what the future for Android might be. Accountant KingstonSmithW1 has a report that shows although income has risen by 5% in design agencies (which are mainly independent) that margins have fallen due to rising staff and operation costs. An accountancy firm has revealed that the profits of the top 40 UK based RP agencies are at an all time low. Why? Employment cost up by 5.25% and operating costs up by 7.47%. Wages account for 62% of gross income. Quartz takes a look at two examples that help build Zebra Eclipse’s point – brands are becoming publishers. In this example we look at how Uber and Evernote position themselves as such for deal making. The Daily Dot investigates Amber Gordon’s Femsplain. This is a publishing platform and community built by women for women. The power of community? An attempt to persuade people not to block ads? Reddit will be giving 10% of their ad revenue to charity and those charities will be causes picked by the user base. The Nook sales are down 50% but Barnes & Noble are bringing out a colour Nook this year. It’s hard to track or even think about the Nook here in Europe. It’s not a thing any more than Barnes & Noble are. A good and long read from Marc Andreessen on why he is bullish on the future of news. He recognises that distribution is open and channels are converging but also points out the audience size is mushrooming. Making money? Ads but not a race to the bottom ads but also cross-media integration, conferences, subscriptions and micro-payments. He calls out a few names including Danny Sullivan at Search Engine Land. I mention that here as that’s the scene I know professionally – SEL is my first stop for news and it supports that with conferences. The cash is in the conferences. Annalee Newitz puts together a fantastic look at the “new trend” of clickbait for Io9 – except, as Annalee points out, it’s nothing new. There’s even images of “Yellow Kid” – an early Grumpy Cat – that lead to the phrase “Yellow Journalism” which sold papers for the stupid cartoons, not the news. 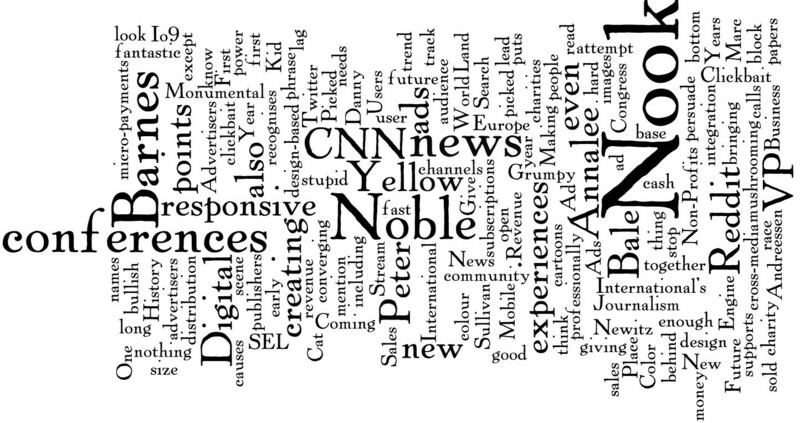 Peter Bale, CNN International’s Digital VP, needs more responsive design-based experiences and at Mobile World Congress he’s said that advertisers are not creating them fast enough. Simon Appleby’s essay on the division within publishing. This division, according to Appleby, is between narrative publishing and information publishing. The two are different, require different skills and so will have a different evolution. Publishers, he says, should split themselves along these lines. Affiliate video platform Coull have a feature written by CEO Irfon Watkins about the future of video. Business seems to be booming and pre-roll inventory sells out — but Watkins writes that around 54% of video ads are never seen. The industry is ripe for change and Watkins predicts more merchant integration, more mobile and publishers finally getting involved. Who’s doing well already? The Guardian. Upworthy lost about 40m views in a quarter because of the change Facebook made to their newsfeed algorithm. The company is fighting back with a new metric “attention minutes” designed to show that even if page views are down the time people are spending with Upworthy content is increasing. An interesting blog post from Google insofar as it doesn’t say very much except that they’re teaching SEO to Spanish newspapers. 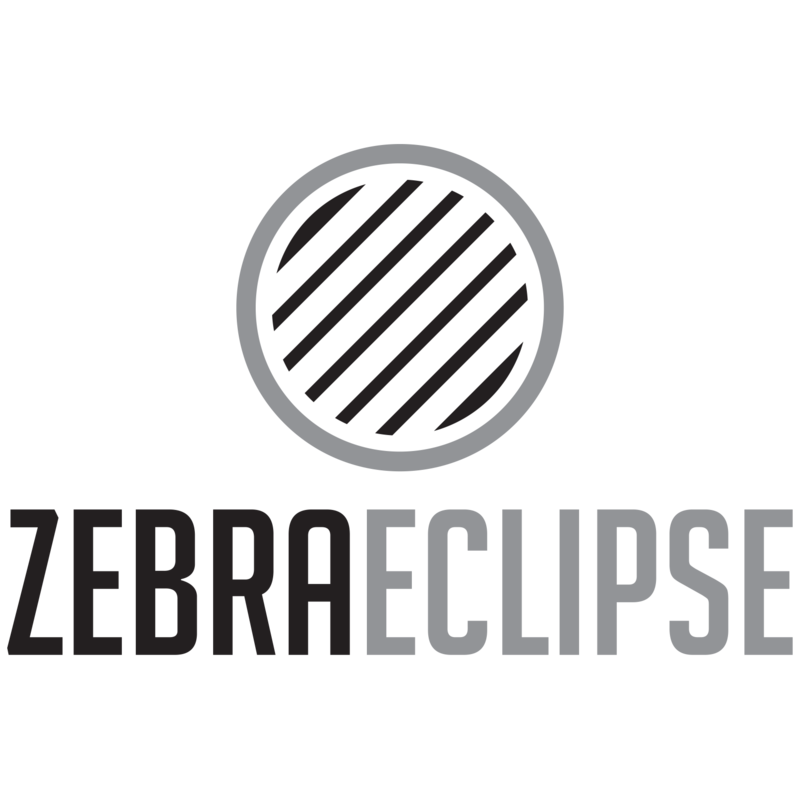 “It is almost impossible to exaggerate the degree to which Facebook has changed the news business.” With Zebra Eclipse I argue that we’re all publishers now. In this article Felix Salmon suggests everybody is a journalist to some extent. An insightful piece. BuzzFeed's native advertising: are they really making ads you want to share? The Media Briefing’s study into Buzzfeed’s native ad shows that they really do get shared. On average they enjoy 263 Facebook shares, 36 tweets, 7 Google +1s, 44 Pins and 2 LinkedIn shares. Facebook comes out as the clear lead for driving their traffic. That said, Buzzfeed is sculpted to suit Facebook style shares and is rarely appropriate for LinkedIn. The new CEO of Bloomberg Media Group is about to announce his 100-day review of the company. It comes at a time when growth is “softening”. Already we’ve seen a move towards more video – with a whopping $75 CPM I can see why – and away from judging properties in silo. Ad Age have an interview.